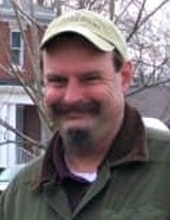 Matthew F. Arnold, age 56, of Caldwell, Ohio, died Wednesday, December 5, 2018, at his home. He was born June 29, 1962, in Zanesville, son of Francis C. and Norma J. Snider Arnold of Caldwell. He was a 1980 graduate of Caldwell High School, where he was a member of the Caldwell High School Marching Band, playing the trombone and tuba. Matt was retired from the Ohio Dept. of Transportation, Caldwell outpost, and he was an active member and executive board member for the Ohio Civil Service Employees Association, Chapter #8400. He loved sports and was a big fan of the Cleveland Indians, the Cleveland Browns, and the Ohio State Buckeyes, and he enjoyed reading. Matt was known for being passionate about fighting for what is right, and for his unique sense of humor and laughter. He was devoted to his family. In addition to his parents, he is survived by his siblings, Lorena R. (Jerry) Harrison of Thomasville, North Carolina, John J. Arnold of Caldwell, and Alan E. Arnold of Cheyenne, Wyoming; two nieces, Anna M. Strawsburg and Emily J. Harrison; four nephews, Keith M. Showalter, Derek A. Arnold, Dustin M. Strawsburg, and Perry W. Harrison; one great-niece, Madison J. Harrison; and many aunts, uncles, and cousins. A celebration of life service will be observed Sunday, December 9, 2018, at 4PM at McVay-Perkins Funeral Home, 416 East Street, Caldwell. Friends and family are invited to share their memories and stories of Matt. Inurnment will be observed at a later time. Memorial contributions may be made to Marietta Home Health and Hospice, 450 Pike Street, Suite I1, Marietta, Ohio, 45750, or to Noble County Ripples Cancer Support Group, P.O. Box 54, Belle Valley, Ohio, 43717. To plant a tree in memory of Matthew F. Arnold, please visit our Tribute Store. "Email Address" would like to share the life celebration of Matthew F. Arnold. Click on the "link" to go to share a favorite memory or leave a condolence message for the family.